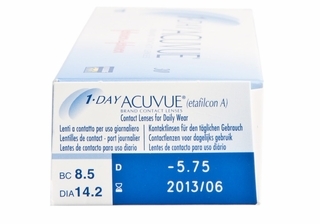 Acuvue 1 Day contact lenses are your key to permanent freedom from cleaning and storing the lenses. You can now bid goodbye to your infection risks that are associated with extended wear lenses. 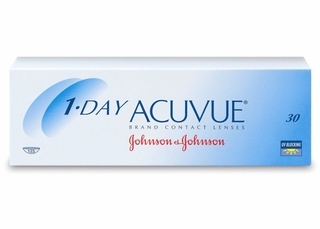 With Acuvue 1 Day contact lenses by Johnson & Johnson, you can plainly discard them at the end of the day and open a brand new pair the following morning. Acuvue contact lenses are also great for your eye health as they shield you from the harmful UV-A and UV-B rays of the sun. These contact lenses by Johnson & Johnson come with inside-out markings freeing you from the fear of wearing them wrong. Added features of these lenses include inside-out marking for easier handling.